Book your group surf lesson now! Why Group Surf Lessons in Scarborough? 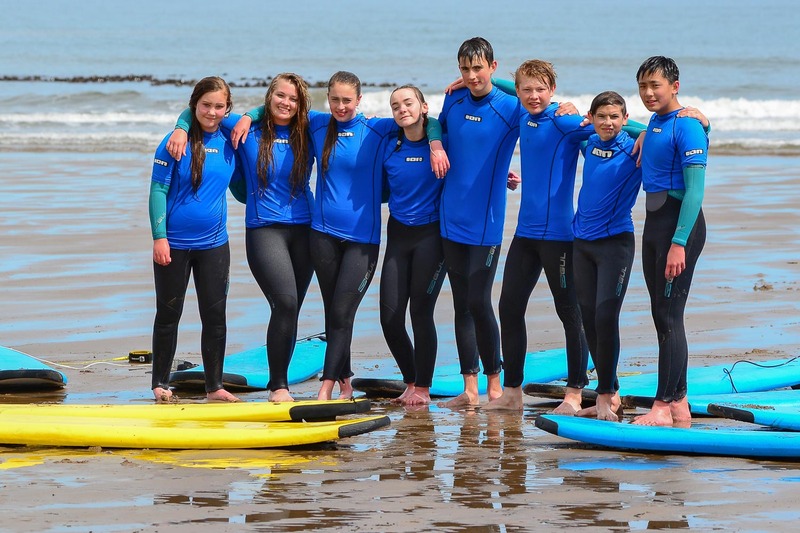 Learn to surf as part of a group at Dexters Surf School on the stunning Yorkshire Coast and prepare to get addicted. Our Group Surf Lessons are a fantastic opportunity to get out there in the water, meet new people and learn to surf. 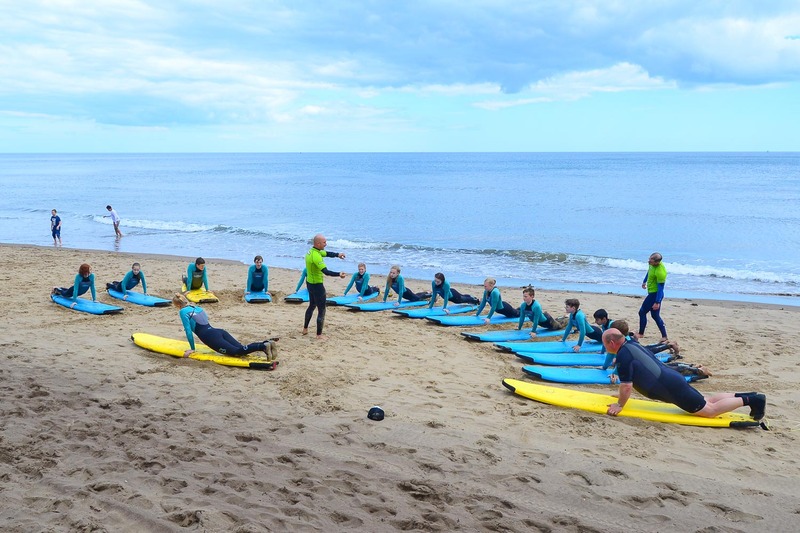 In this taster Session we will introduce you to this exhilarating and fun sport, teaching you the basics, from beach safety to standing up and surfing. Have you always dreamed of learning to surf or is on your bucket list or maybe you’re just interested to find out what its all about. Well, look no further, Not only are we the sole instructor training Centre For The I.S.A in Yorkshire we are the only School to be Accredited as an Academy in the North by Surfing England the UK’s National Governing Body, Our instructors pride themselves on there high level of training so when you’re in the water there will be (at the very most) on an 8:1 surf coach ratio, making sure that sessions are run safely whilst giving everyone a good level of instruction. Join us at Dexters Surf School on Scarborough’s North Bay and prepare to get the bug! Here at our Accredited Activity Centre and Surf School, we offer taster lessons for all you first time surfers whatever your motivation. Our Group Surfing Lessons introduce you to this exciting and fun sport, teaching you the basics from beach awareness through to standing up and surfing your first wave. On arrival we will get you kitted up in one of our Ion 5mm wetsuits before hitting the surf on North Bay. We use only premium quality 100% recycled Skunkworks foam surfboards for your Surfing Lessons as they are totally eco-friendly and the most stable platform to teach. This Surf Lesson are suitable for all abilities, Call or Book online now for your lesson this summer and begin your surfing journey! You will start with a quick 15-minute land lesson on the beach in front of our surf school, where you’ll get a proper introduction to the sport of surfing and learn the basic safety you need to be aware of before hitting the waves. allow 30 minutes for changing. Our Group Lessons are open to people aged 16+ However, if you are under the age of 18, an appropriate adult must be on site to sign you in. We sometimes ask for ID if we think you look under 18, so please don’t be offended. Don’t worry if you’re not 16 – you can join in on our kids club.